Breaking the Cycle of Poverty through the Provision of Quality Childcare. Thank You “From the Ground Up” ! Thank You From the Ground Up! We appreciate all of your hard work. Our gardens were in much need of some TLC especially from a great organization!!!! Teacher Position open at the Eaton Road Center! 25 to 30 hours a week, Monday – Friday. Must be eligible for an Associate teacher permit or a higher level permit and willing to apply for the permit immediately. Must have knowledge of the Desired Results System of Assessment. Must have at least 12 units of ECE including core classes (child development, child/family/community, and programs/curriculum) plus 50 plus days of 3+ hours per day within the past 2 years. 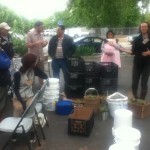 Container Gardening Workshop was Fun! 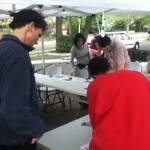 Over a dozen folks took part in the Container Gardening Workshop sponsored by the Cultivating Healthy Community grant. 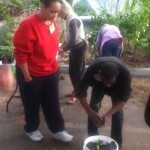 Monica Bell is conducting 2 workshops every month on home gardening. 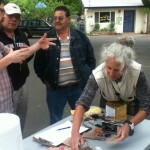 This one included participants receiving a container of their choice, potting soil, and their choice of a couple of tomatoes, peppers, basil, eggplants or mustard. Since it was an evening event. 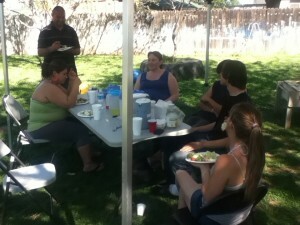 Tamales and fruit juices were also served up inside the Children’s Garden. 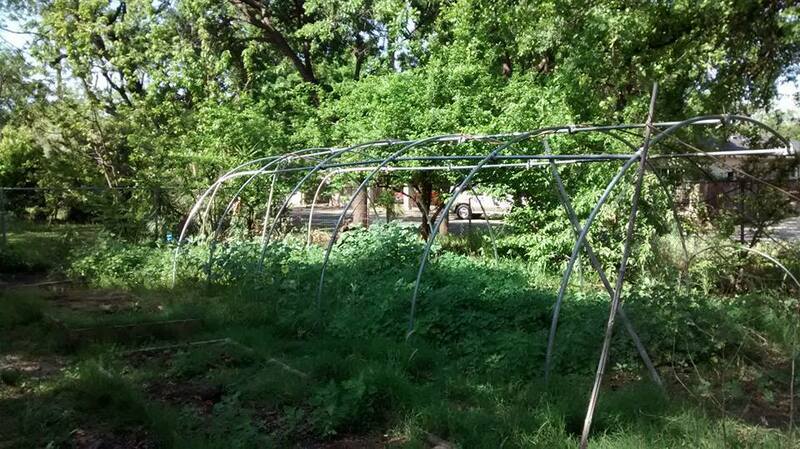 The tamales were delish and the participants toured the garden with its new greenhouse. Monica said this was the best workshop yet, and many commented on the lovely shaded location under the big oak in our parking lot. 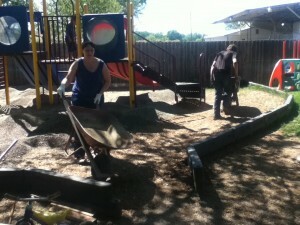 We got much done at the Family Garden day. Gravel for the cushion material around the playground was moved into place. Cardboard cut and laid as sheet mulching in the garden. 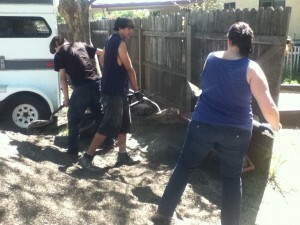 Then compost and barriers were put in place for planting the Sunflower Garden. The Preschoolers planted flowers along the entrance walkway. Big thank you to all who showed up. Only got a few pics, but here they are. 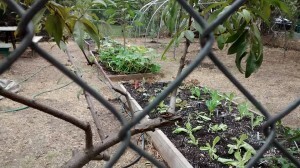 Results to be seen later as the gardens bloom. 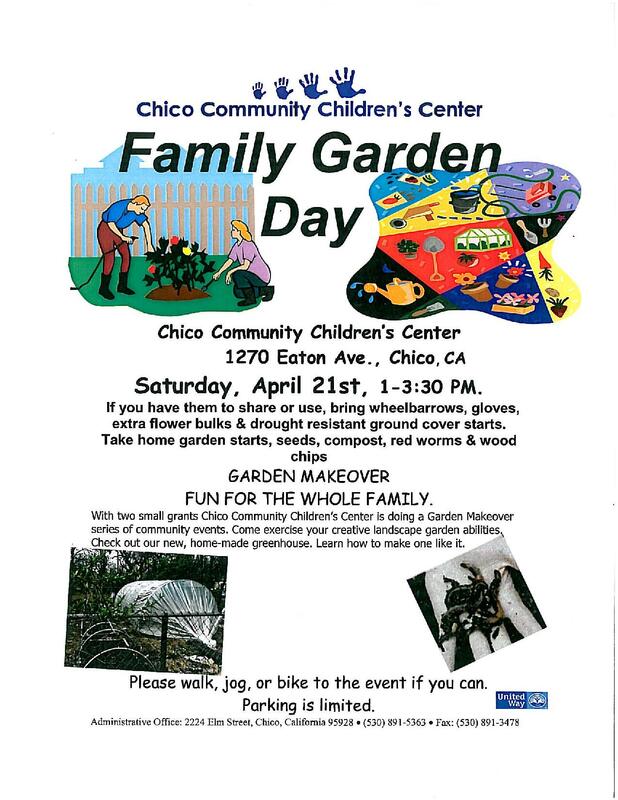 Family Garden Day at 1270 Eaton Rd this coming SATURDAY, April 21st – from 1 PM to 3:30 PM. 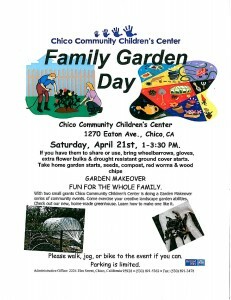 If you have wheelbarros, gloves, extra flower bulbs and drought resistant ground cover starts – please bring them. 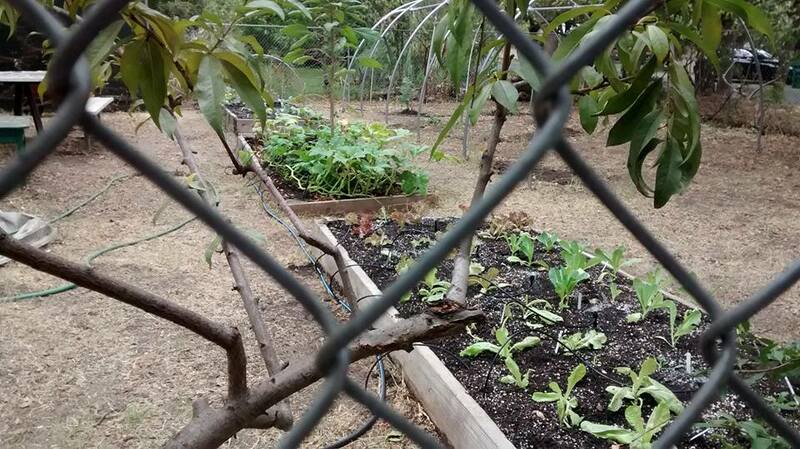 Take home garden starts, seeds, compost, red worms and wood chips. 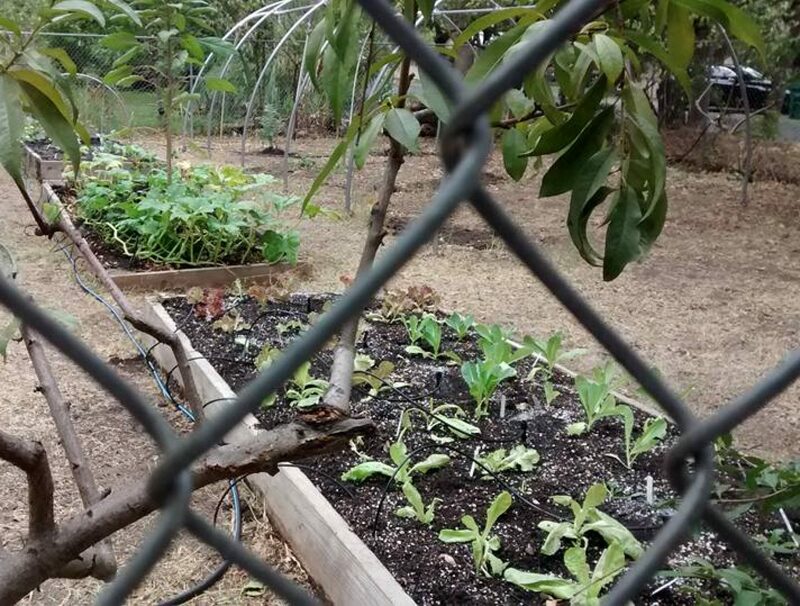 We received two small gardening grants. 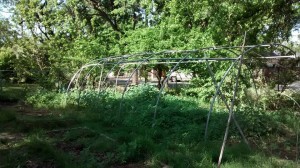 Come check out the new greenhouse we made with supplies provided by the grants. For more information call our office at 891-5363. We put the plastic on the greenhouse. My friend Tara took a short video of the process. 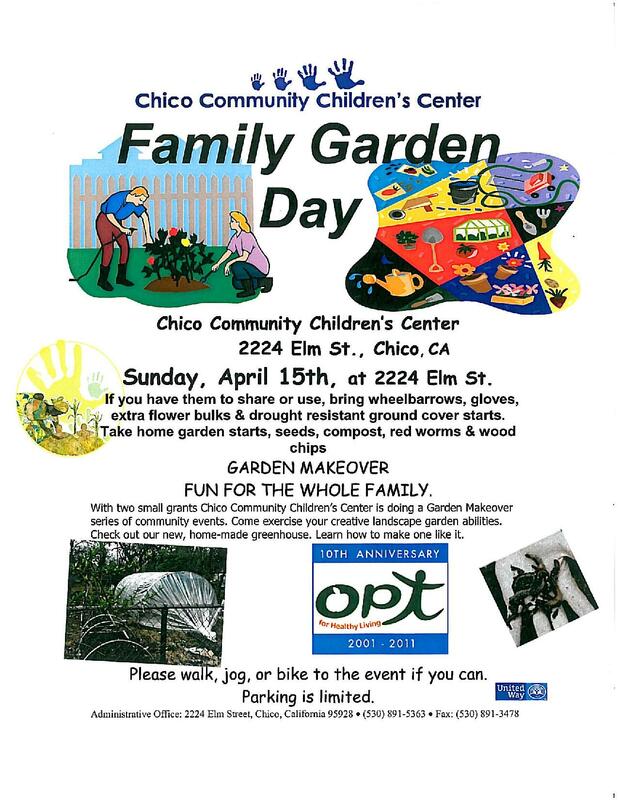 Chico Community Children’s Center is partnering up with CSUC Center for Nutrition and Activity Promotion. One goal is to help prevent obesity through the implementation of policy and environmental change strategies of the local or state obesity prevention plan, with the hopes to adopt physical activity policies to enhance quality and quantity of physical activity instruction, increase opportunities for physical activity and create environmental changes to promote activity. We also will be working with children and parents on gaining knowledge about nutrition, and making healthy eating choices. Children will increase awareness and understanding of their physical activity and gain skills to enhance physical activity and making healthy eating choices. Different recipe ideas that include seasonal fruits and vegetables, handouts with the importance of healthy eating for children and different ideas on how to get children to be active at home will be available to the parents.